In housing markets like Phoenix, AZ, it often makes sense to go ahead and purchase condos instead of buying a house. These structures are less work to maintain, they’re often more affordable and they come with added perks that you simply don’t get with a traditional house. That’s the benefit of deciding to purchase one of the condos for sale in Phoenix, AZ. Buying one of these units isn’t as simple as just going ahead and making the purchase though. There are added considerations to be made, and you have to take care to buy a property that you’re going to like in the end. That’s why you really have to think about the decision that you’re making and work hard to ensure that it’s not the wrong one. Rely on the following tips to help you make a good condo purchase. Each one will help you avoid a potential problem and should push you toward a more successful future in the end. 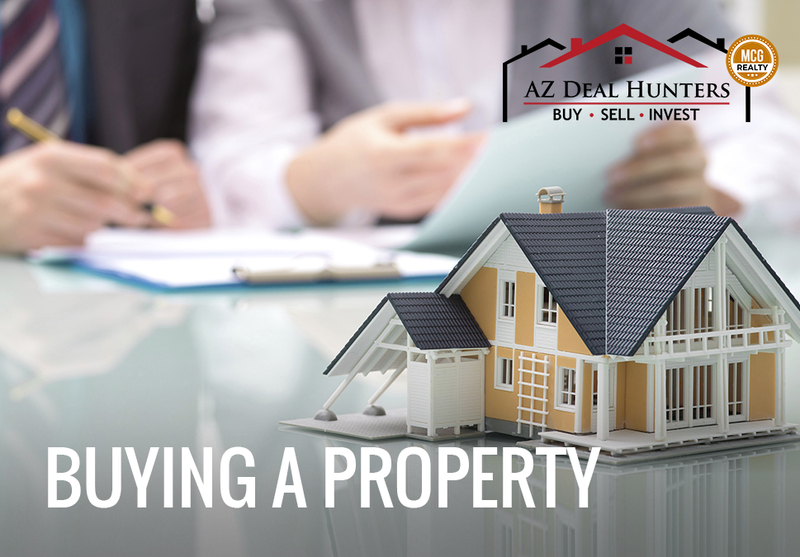 Buying condos for sale in Tempe, AZ is an exciting prospect and there are a bunch of different properties available worth looking at, but that doesn’t mean that you should rush into purchasing anything. Instead of going for the first condos for sale in Tempe, AZ that you see, take the time to survey the many different properties and to slowly decide on the one that’s best for you and your family. 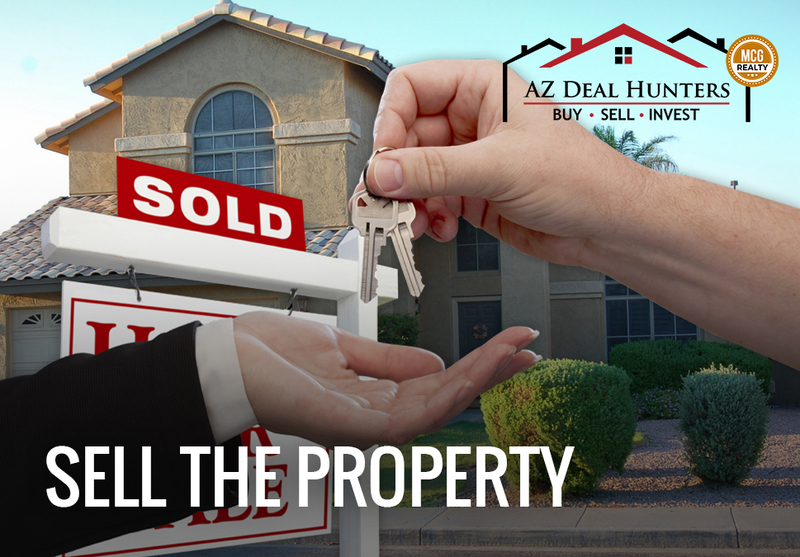 By taking the time to look at the many different condos for sale in Tempe, AZ, you’ll be more likely to find something that fits you really well, and to end up with a better deal in general. That’s why we recommend looking at several options and considering them all first before making a final decision. That’s the only way you’ll have a good shot and choosing the right opportunity in the end. 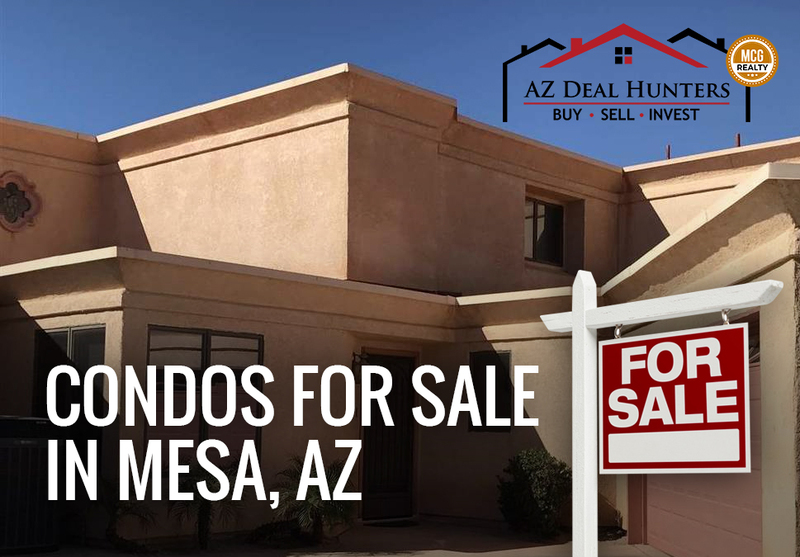 While searching for condos for sale in Mesa, AZ it can be tempting to push for a quick sale and to purchase a unit without actually seeing it for yourself. This is a huge mistake. I know, Mesa is a busy market and condos are going on and off the market all the time. You may not feel like you have the time to tour a unit, especially if you can’t get away for an open house or a showing, but that’s not true. When it comes to purchasing one of the condos for sale in Mesa, AZ, it’s vital to make the time to go and see the unit before purchasing it. Photos aren’t enough, and neither is taking a look at a different unit that’s supposed to be similar. Instead, take a look at the exact unit that you’ll be buying. This will give you a chance to spot any potential flaws that the unit has. Not only that, but it will give you a chance to get a feel for its exact location, which will help you understand what you are getting into even more clearly. 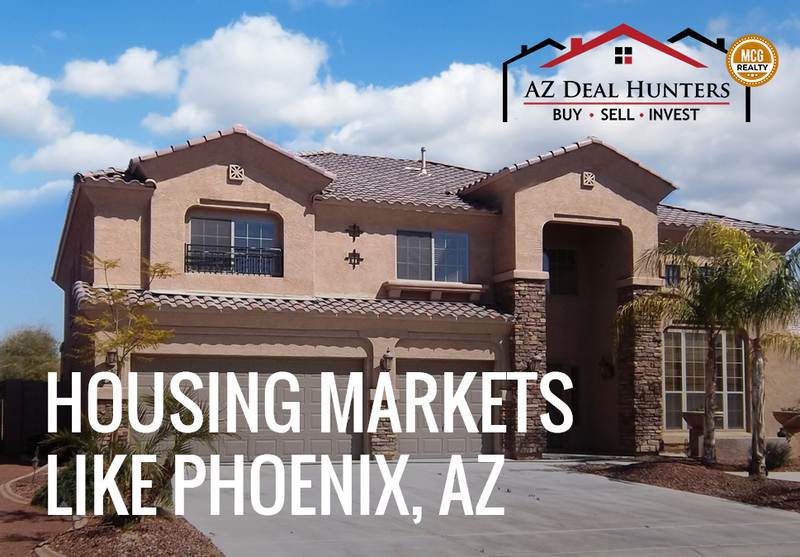 There are countless condos for sale in Phoenix, AZ and surrounding areas. That’s why it’s so important not to buy into the very first condo that you look at. Instead of rushing into the process, take the time to really get to know the rules that the building imposes on its owners. Out of all the condos for sale in Phoenix, AZ, you need to make sure you get involved with a property that you won’t mind living in. That means getting to know the contract that comes with the place well, and not buying a property with rules you simply can’t live with. There are rules and regulations with every condominium, and some rules simply aren’t a good match for the buyer planning on moving in. Before you sign a contract for one of the condos for sale in Phoenix, AZ, make sure you know that you can live with every single rule before you move in. If you take the time to read over all the paperwork you can avoid making a huge mistake and end up with a property that you like better as well. While it’s standard for many of the condos for sale in Phoenix, AZ to come with maintenance services, not all of them do. There’s a chance that you will be left taking care of some maintenance tasks that you weren’t expecting. While most facilities will take care of exterior maintenance, including things like lawn care, you might end up taking care of some parts of your property that you weren’t expecting. Make sure you know what is included in your HOA fees, so you know what is left for you to take care of. If you buy a property with too many maintenance requirements, you’ll be left with problems that you aren’t sure how to take care of, and you might end up having to hire professionals which will cost you even more. Getting a mortgage for a condo is different than obtaining one for a single family home. It’s important to realize that you’ll have to go through a different process before you can start shopping for those condos for sale in Tempe, AZ. Talk with officials at your bank and try to obtain a mortgage for the condo price that you are looking to purchase within. Make sure that you are pre-approved before you start shopping around for different properties to purchase. This is the only way that you’ll be able to ensure that you can obtain the property that you want in the end. All those condos for sale in Tempe, AZ come with different price tags, and a single-family mortgage won’t get you into any of them. Mortgages today are very generous and it’s easy to get more money than you can really afford. Think long and hard about the amount of money that you want to spend on a mortgage payment every month, and make sure that when you go for condos for sale in Phoenix, AZ, you stay within the right budget for you and your family. It can be tempting to buy one of the best condos in the area, especially if you are approved for enough money to make the purchase, but that often isn’t the right way to go about it. Instead, save yourself some money. All the different condos for sale in Mesa, AZ come with HOA fees that you need to be aware of before you purchase the property. 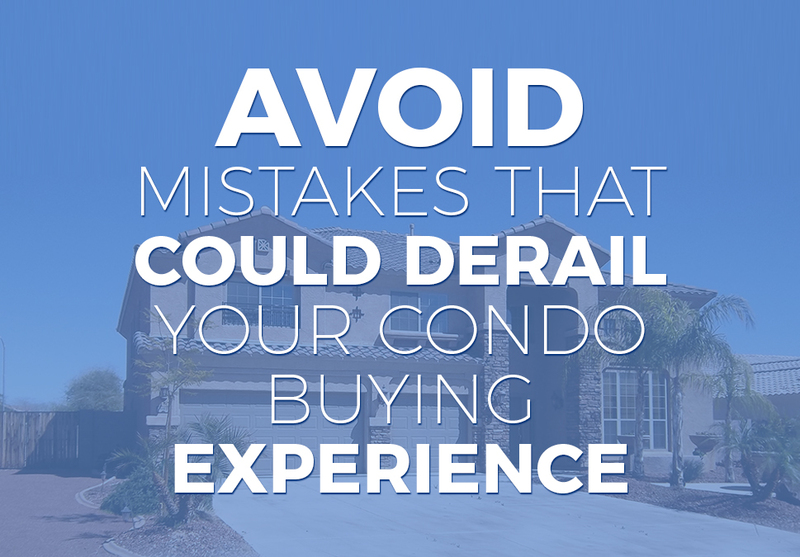 Don’t go into a deal for one of the condos for sale in Mesa, AZ without first knowing each and every expense that you’ll have to deal with while living there. The worst thing you can do is to buy a condo without being able to afford the price, or without realizing just how much you’ll be spending on the property. Just because one property seems like it will be more affordable on the surface, doesn’t mean that it will actually be less money in the end when it comes time to make the purchase. Usually, condos for sale in Mesa, AZ come with little extras. Some feature community swimming pools. Others include access to workout centers. There are some that even include things like heated parking spaces, garages, storage rooms and more. It’s important that you know what all is included with the purchase of any property. Don’t make the mistake of buying a condo without knowing what you are getting, otherwise, you could end up missing out on some great opportunities while buying a property that doesn’t offer much. When looking for condos for sale in Phoenix, AZ, make sure that you find out what company is responsible for maintaining the condos. This company will be the one enforcing the rules and handling all the cleanup and maintenance regularly. It’s important that the company has a good reputation and is known for doing an excellent job. By taking the time to become familiar with the different maintenance companies that are commonly used, you can easily pick and choose from the different condos for sale in Phoenix, AZ and end up with the ones that are going to be best for you. Before going through a major change in your life like purchasing one of the condos for sale in Tempe, AZ, make sure that you consider what your future is going to be like if you can. Think about the different changes that you think will occur in your life, and also think about how long you intend to live in your chosen location. Condos usually don’t appreciate in value as fast as single-family homes. If you buy a condo for a short-term stay the rate of appreciation likely doesn’t matter much, but if you buy for the long term this is something you’ll have to think about when it comes time to sell the property off once again. It probably feels like every single condo building should be covered by insurance, after all, that’s something that HOA fees should be going toward, but that’s not always the case. In some instances, where condo owners are regularly delinquent, the association running the condos ends up canceling or minimizing its insurance policy in order to save on costs. When looking at condos for sale in Mesa, AZ, always look at a copy of the budget, provided by the seller hopefully, so that you can see whether insurance is being paid for. A condo with high delinquency rates is going to be much more difficult to move into if you don’t have the cash to make the full purchase. Not only that, but it will be more difficult to sell off later on as well. It’s important to look at whether or not owners are paying their dues on time. 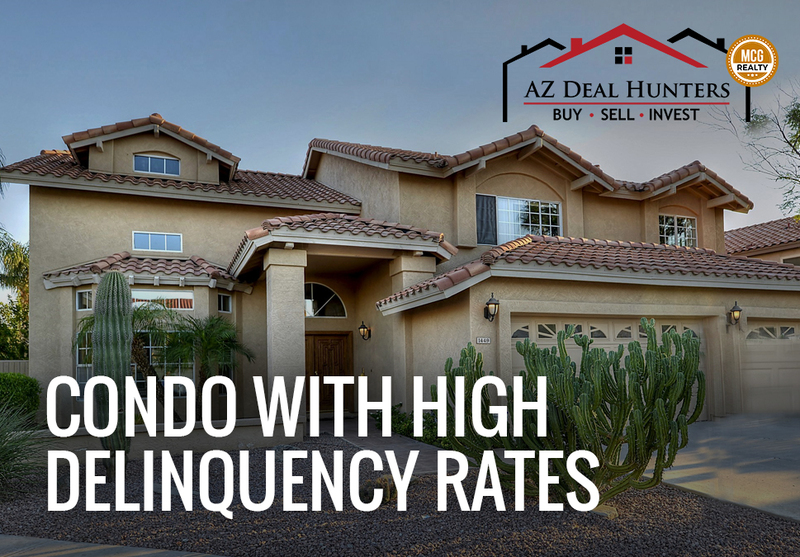 If there is more than a 15% delinquency rate, it’s not a good idea to move ahead with buying into the condo. You could end up being stuck with the property for a long time if you do, and you likely won’t be able to use a traditional mortgage to purchase it in the first place. All condos are required to keep a set amount of cash reserves available in case that major projects need to be completed. This amount should come to around 10% of the annual revenue from the building, but often associations do not have enough reserves to meet these requirements. IF you buy into condos for sale in Tempe, AZ and they don’t have enough cash reserves on hand, you could be charged a special added fee near the end of the year to make up this difference. That’s an added expense that you don’t want to deal with, and it’s something that you shouldn’t have to deal with either. It’s tempting to rush forward and pick out one of the condos for sale in Phoenix, AZ without doing all the necessary research, but that’s never the right course of action. Be smart, be careful and make sure that you are buying a property that you’ll be able to enjoy for decades after your purchase if that’s what you want to do. By looking closely into the association that’s running things, and all that’s included with the condo, you’ll be prepared to make the right decision in the end and to avoid properties that just aren’t a good fit for your needs. It’s not easy making these decisions, but it’s important to be able to, in order to avoid buying the wrong property.